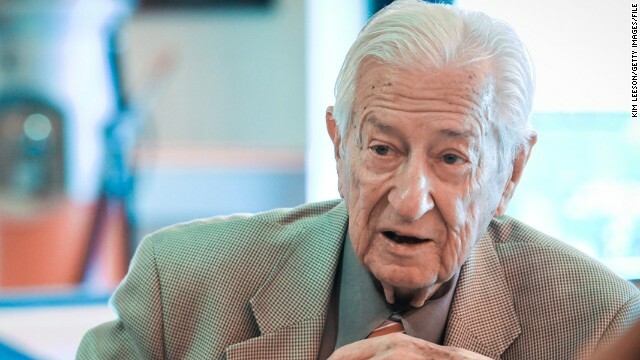 (CNN) – Rep. Ralph Hall, the oldest elected official in Washington, lost a tough runoff battle in Texas Tuesday, making the 91-year-old Republican the first incumbent member of Congress to go down in defeat this primary season. CNN projects former U.S. Attorney John Ratcliffe, an anti-establishment candidate, will beat Hall in the GOP contest for Texas’ 4th Congressional District, which is located in the northeastern portion of the state. Throughout his campaign, Ratcliffe, 48, called for "new leadership" and is promising to leave office after eight years. He had the backing of some powerful national conservative groups like Club for Growth and the Senate Conservatives Fund. In the March primary, Hall brought in 45% of the vote - not enough to stave off a runoff against Ratcliffe, the second place finisher at 28%. Hall was first elected to the House in 1980 and was vying for an 18th term, which he has said would have been his last. He lost despite having the backing of some tea party favorites, including retiring Rep. Michele Bachmann of Minnesota. CNN's Paul Steinhauser and Dana Davidsen contributed to this report. At 91, it was likely time for Mr. Hall to enjoy something resembling retirement. Saying that however, having him be supplanted by another TEA Party radical just moves the state of Texas deeper into irrationality and anti-American craziness. I want term limits on Congress, as well as the Presidency. The people must demand term limits to reduce the corruption in Congress. I am with you on Congress- although smaller (population) states will say its their only way into committee seniority. The President, old friend, IS term limited- 2 terms is all they get. I'll give you points for brevity- Really, though? Is your memory THAT short with Mr. Bush's disasters only 6 years in the past? Shoot, the last good Republican President was Eisenhower, and the last great one Theodore Roosevelt. Someone said the Tea Party was dead....lol...more to come ! I think the GOP wishes the TEA Party was dead, but apparently the battle rages on. For every nutjob TEA Partier who wins a primary, the GOP greatly increases its potential loss ratio. Creating the TEA Party (thanks Mr. Rove!) was probably the worst idea the GOP ever had- the TEA Party will wipe out the Right in American politics because of their radicalism.